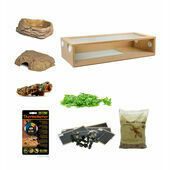 Free Tortoise care sheet with this product. 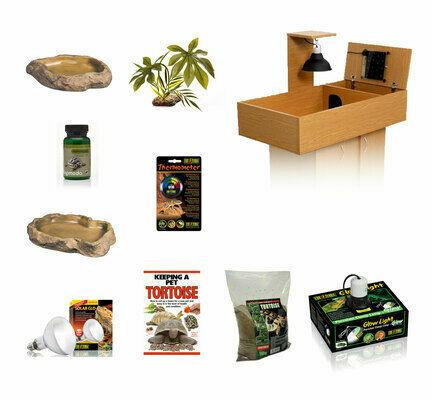 Our Monkfield Table oak starter kit is perfect for both new and experienced reptile owners. The starter kit comes with the Monkfield tortoise table as well as nine great products that will help your tortoise settle in. 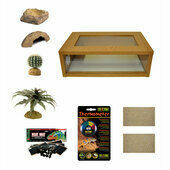 Monkfield Tortoise Table - Measurements 43" x 24" x 9". 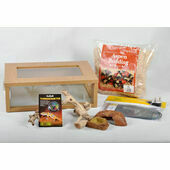 The tortoise table is made in oak effect wood and has a large open space that has been specifically designed to provide maximum ventilation makes it the perfect place for your tortoise to reside. 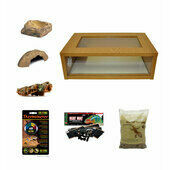 It features a covered area which can be used with lighting and uv equipments. 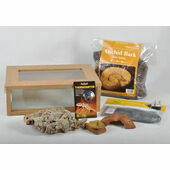 The built in hide has the capacity to attach to a heat mat to the ceiling which will help raise the temperature when needed. 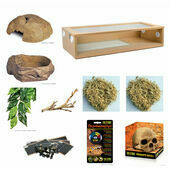 Cabinet and Heat Mat not included. 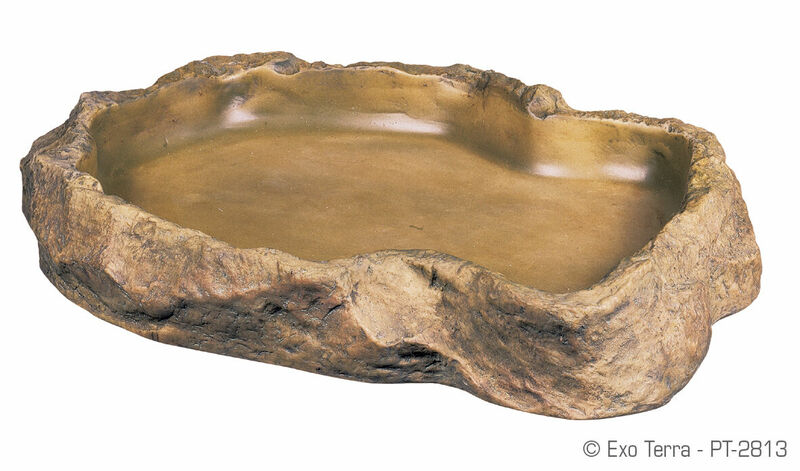 Exo Terra Feeding Dish Medium - A natural look feeding dish that is easy to clean and is made from food grade resin. 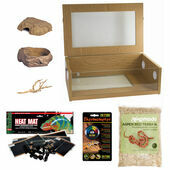 Exo Terra Solar Glo 125w - Designed to provide all the benefits of natural sunlight, the Exo Terra Solar Glo Sun Simulating Lamp is an essential accessory for those who keep reptiles and want to ensure their comfort and good health. 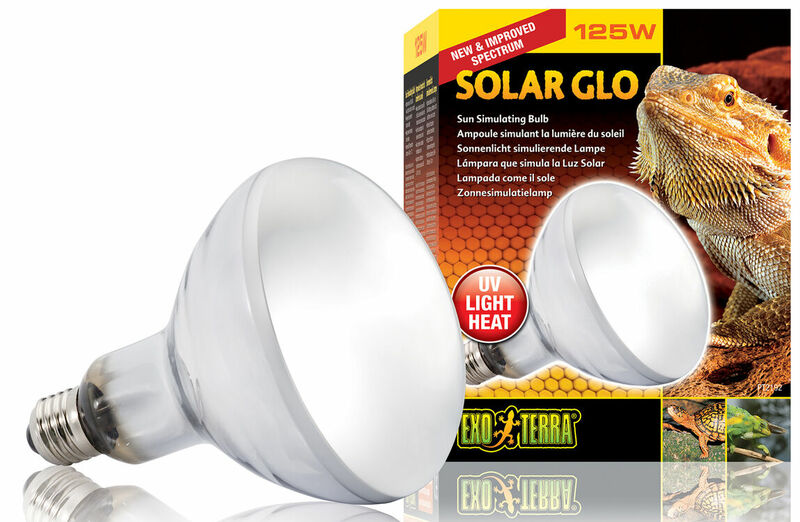 made to fit within a standard ceramic socket, these light bulbs provide just the right balance of UVA and UVB ultraviolet light. 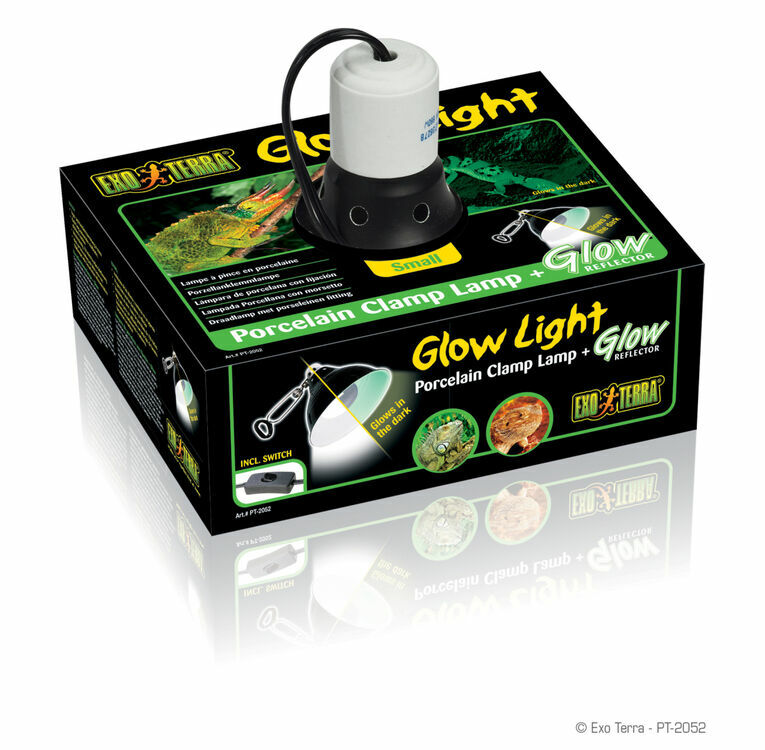 Exo Terra Glo Light Clamp Lamp & Reflector (PT2054)- Exo Terra Glow lamp is the perfect solution for viewing your reptile in the day and night.  During the day the highly reflective coating which helps to direct the light downwards so non is wasted. During the night time it gives off a soft moonlight glow (even if the bulb is turned off). 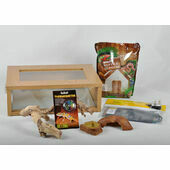 Letting you observe your reptiles unobtrusively day or night. 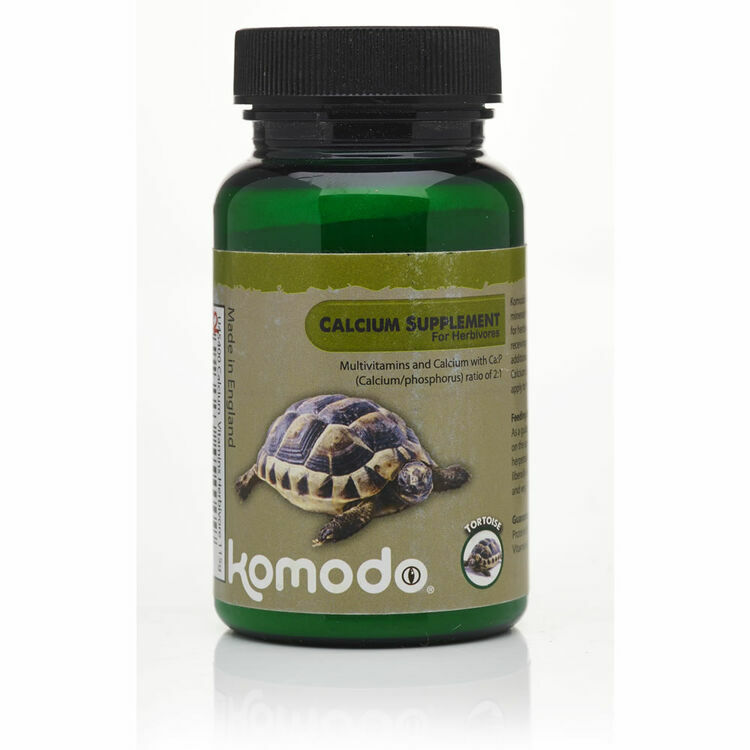 Komodo Calcium With Vitamins For Herbivores 115g - This is the ideal supplement for vegetarian animals receiving natural or artificial UVB light and therefore requiring minimal levels of additional D3. 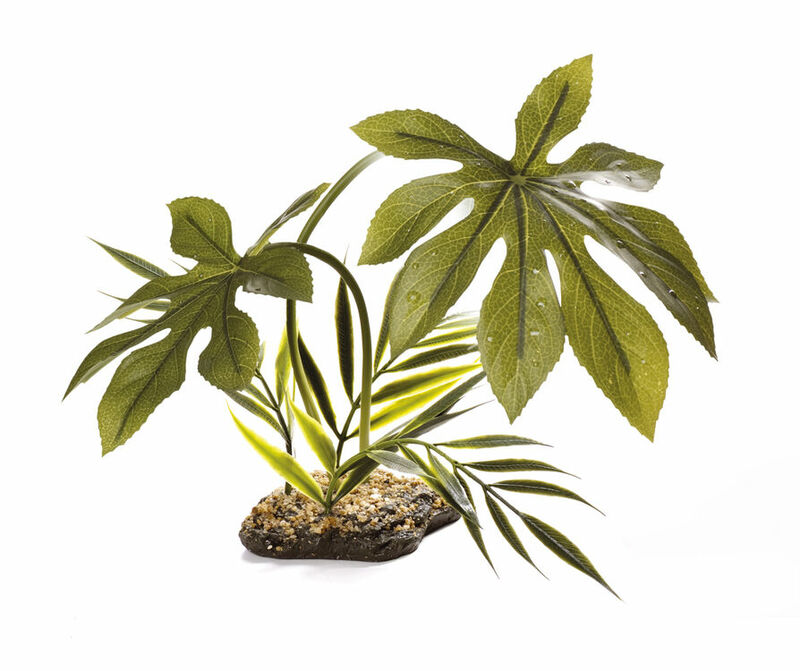 Herbivore Supplement is specially designed to apply to fresh vegetables and fruit. 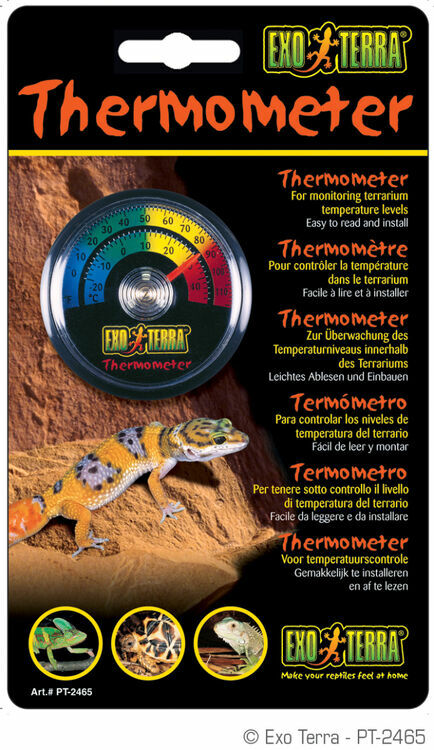 Exo Terra Dial Thermometer - Perfectly suited for hot and humid environments, these Exo Terra Terrarium thermometers have analogue displays that clearly show how hot or cold it is in both degrees Celsius and degrees Fahrenheit. 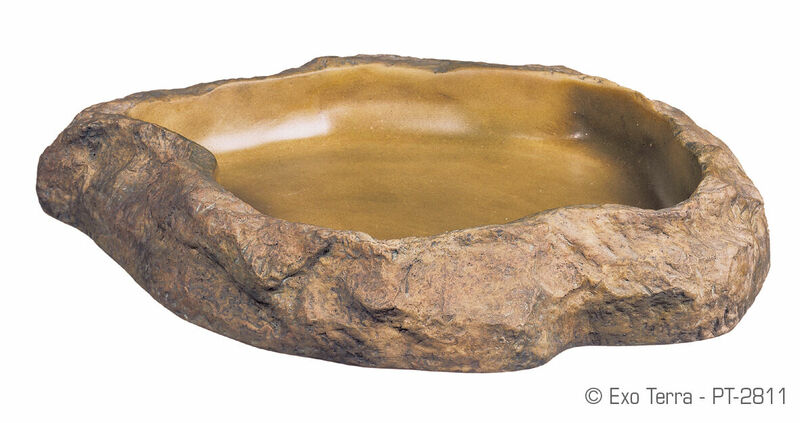 Additionally, each unit comes with a stick back that allows it to be securely installed onto any smooth surface. 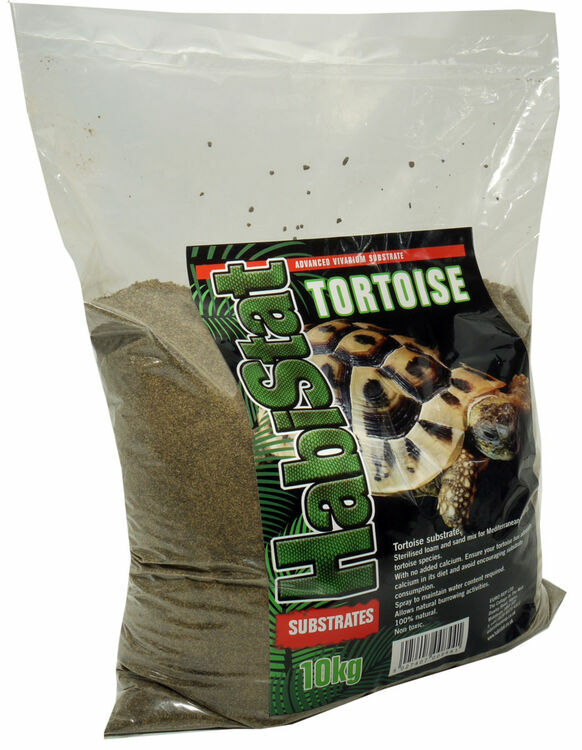 I bought this product as it included everything I needed to start up a nice, suitable environment for my recently adopted Russian tortoise. I was able to put the table together within the house and have it fully set up for him to play around in. A few problems that weren't terrible but may confuse some people were the brackets were marked up in the wrong place but it's easy to figure out. Another small problem is that the substrate is just enough to cover the floor of the table but other than that it's pretty much perfect no would recommend some sort of wood glue for the dowel rods as there is none included, again, a small problem but I am picky. 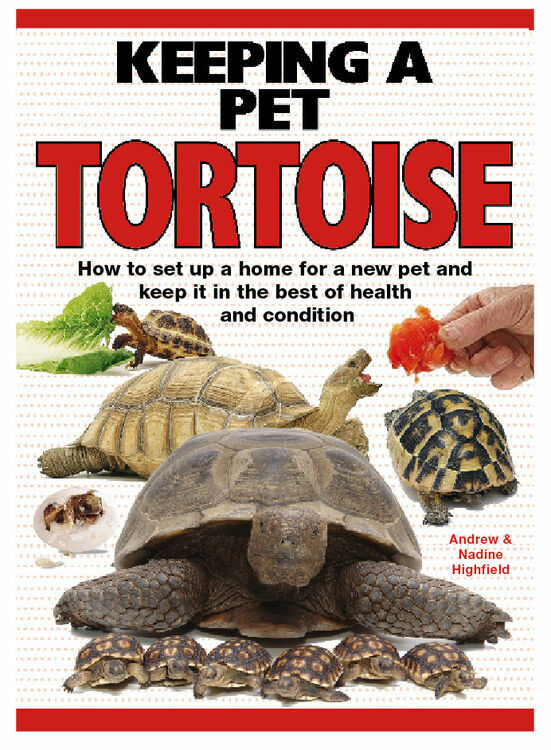 One thing that was really helpful was the book, it gave me so much more ideas and just knowledge in general of what my tortoise needed and required. 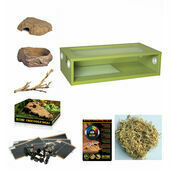 I would definitely recommend this to anyone wanting to own their first pet tortoise!